Adverbs modify (describe) verbs, adjectives, or other adverbs. Let's look at some examples of them describing verbs, adjectives, and adverbs. Your face is extremely red. There is an adverb describing the verb will eat. Extremely is an adverb describing the adjective red. Very is an adverb describing the adverb slowly. What is an adverb? The adverb questions will help you understand. Now that you know the answer to the question, What is an adverb?, there are a few questions that you should memorize. Knowing these adverb questions will help you know for certain whether any word is acting as an adverb. Adverbs answer one of these adverb questions. 5. Why? (because he wanted soup) Adverbs that answer this question are typically adverbs that are made up of more than one word, such as an adverb clause. 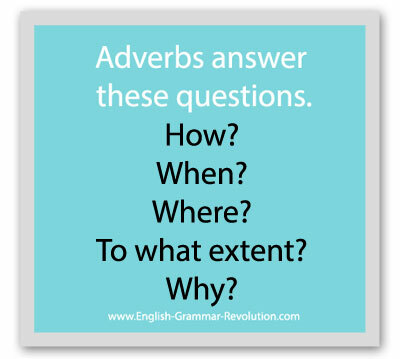 Let's look at some examples of how the adverb questions work. 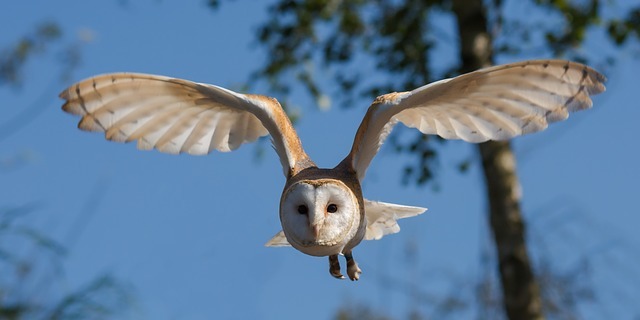 Look at this lovely barn owl. 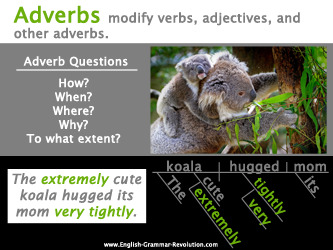 First, let's look at some examples of adverbs modifying the verb flew. Let's look at an adverb modifying the adjective white. Let's look at an adverb modifying the adverb quietly. You can watch a video about the adverb questions here. What is an adverb? Diagramming them will show you! 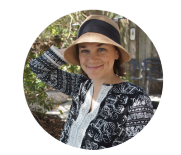 Sentence diagramming is a way to show how the parts of a sentence are related. Sentence diagrams of adverbs show us that adverbs modify verbs, adjectives, and other adverbs because they go on slanted lines underneath the verb, adjective, or adverb that they are modifying! 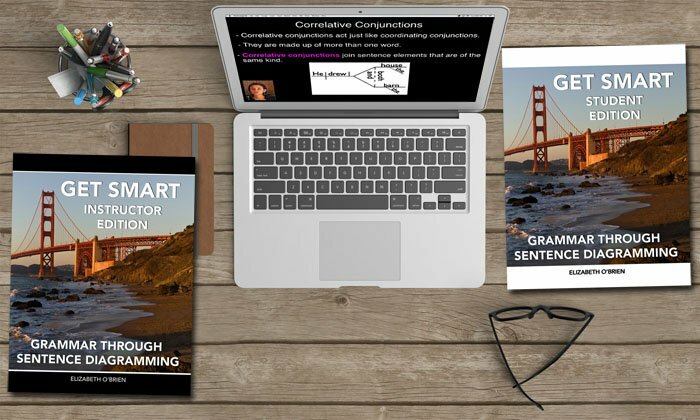 You can learn more about diagramming adverbs with these exercises, this book, or this awesome course. What are comparative & superlative adverbs? Many adverbs can have different degrees. You may find that your dog can run quickly, your cat can run more quickly, and the mouse that they are chasing can run most quickly. You've just used the comparative and superlative forms of adverbs to show different degrees. 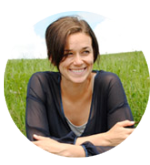 Use the comparative form when you're comparing two actions or qualities. 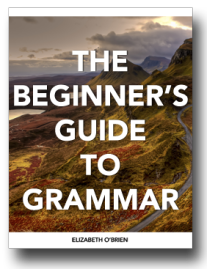 Most comparative adverbs end in -er or begin with more (harder, more easily...). But, there are irregular comparatives which do not end in -er (better, worse...). Use the superlative form when you are comparing three or more things. Most superlative adverbs end in -est or begin with most. (hardest, most easily...). But, just like comparative adverbs, there are some irregularities (best, worst...). My students are enjoying the Get Smart program so much, and I see them trying to apply what they've learned to everyday phrases. Thanks for developing such a fun and exciting way to learn grammar. I never knew I could enjoy teaching this so much! Do you feel more comfortable with adverbs now? I hope so!